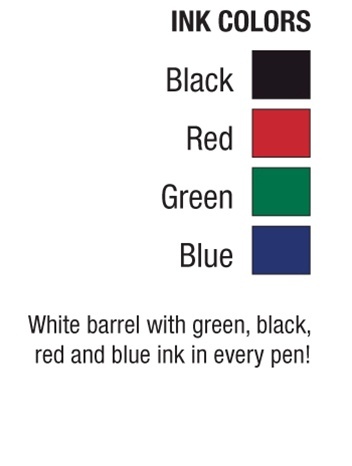 Custom Imprinted 4-Color BIC® Pen comes with four ink colors. 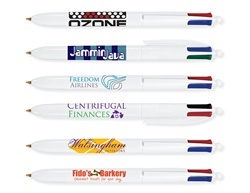 Personalized 4-Color Pen features multi-functional style. 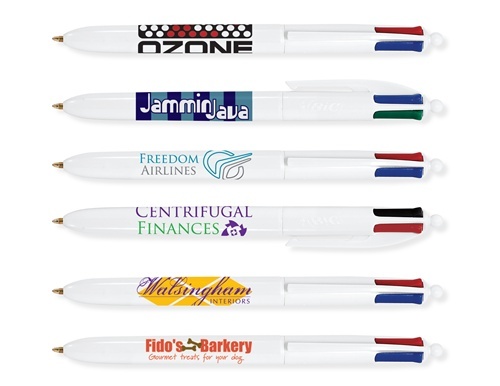 Custom Imprinted 4-Color BIC® Pen is available in White color.